The process to add a Discover card is the same as any other card, so no special tricks or hacks are required. At the time of this post, the list of cards compatible with Samsung Pay still does not include Discover, which means there's likely to be an announcement in the next week or so. 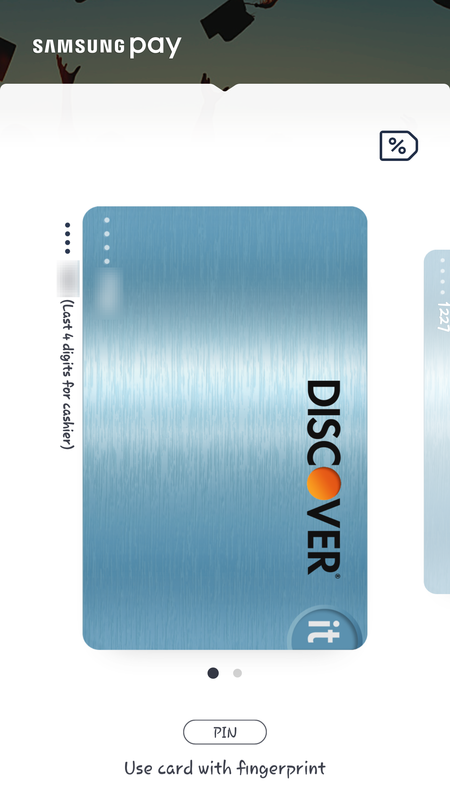 Both Android Pay and Apple Pay support Discover cards, as well. I'll just say it on behalf of Samsung and Discover, get out there and start spending. But seriously, be responsible with your money.